With calm, tranquil waters, rugged native forest and an abundance of rare and interesting wildlife it is not hard to understand why local Maori cherished the Milford Sound and all it had to offer over a thousand years ago, and why today, the region attracts so many visitors year after year from New Zealand and around the world. It is believed Maori first explored Fiordland and Milford Sound over one thousand years ago, using the now very famous Milford Track as their preferred route. The very same route thousands of visitors use today to embark on their own adventure into this pristine little piece of paradise. The Maori word for Milford Sound is Piopiotahi, meaning “a single piopio”, named after a now extinct New Zealand bird that inhabited the South Westland area with significance steeped in local legend. Milford Sound was a special place for the Maori people and its tribes, the area was treasured for its fishing, hunting and precious Pounamu or New Zealand Jade (more commonly known as Greenstone). Greenstone has a very spiritual significance and is held in high regard among all New Zealanders. The precious stone featuring different shapes and appearances can be found in and around Milford Sound and as far north as Greymouth. It is thought European settlers first discovered the area in 1812 after famous explorer Captain Cook missed it twice during earlier explorations of the New Zealand coastline. The area was eventually given its first European name ‘Milford Haven’, by a man called Captain John Grono, after his home town in southwest Wales. The name Milford Sound was given at a later date by a man named Captain John Lort Stokes. Donald Sutherland was the first permanent resident to the area settling near the now well-known Lady Bowen Falls, also nearby the Sutherland Falls were named after him. Later in 1888 the Mackinnon Pass part of the now world-famous Milford Track was discovered by settlers making the area more accessible to travelers. In 1953 the Homer Tunnel along the Milford Road was completed providing much greater access to the Fiord. The Milford Road Homer Tunnel is 1.27 km long and is New Zealand’s second longest road tunnel. Its majority was carved by hand from solid rock granite, and the whole tunnel took approximately 20 years to finish. Difficult working conditions and a break during World War ll delayed the finish until 1953. Labelled a UNESCO World Heritage Site in 1990, the south Westland area encompassing the Milford Sound and four National Parks including Fiordland, Mount Aspiring, Mount Cook and Westland is one of New Zealand’s most visited destinations. Named Te Wāhipounamu – South West New Zealand World Heritage Area, the region incorporates over 2.6 million hectares and is considered to be the most remote and undisturbed place in New Zealand. Unique flora and fauna, natural ecosystems, fifteen fiords, many glacial lakes and the well-known Franz Josef and Fox Glaciers are just some of the areas impressive highlights. 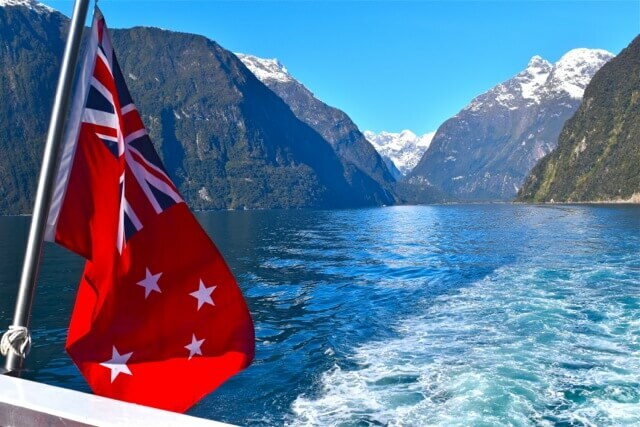 The Milford Sound of today sits proudly among these superb surrounds and draws nearly a million tourists and travelers of all ages from all parts of the world each year. New Zealand’s strong focus on sustainability and eco-tourism are what makes visiting this unbeatable destination possible. 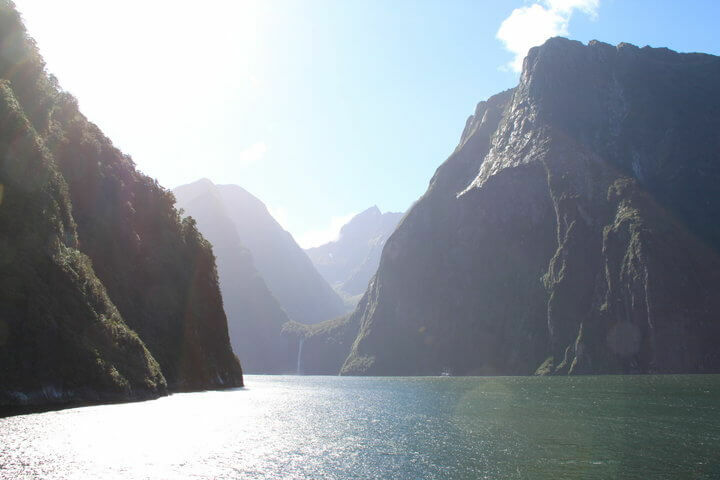 Thinking of visiting the Milford Sound and Fiordland National Park? The Milford Sound is best viewed by boat tour on a Milford Sound cruise and from the air with a Milford Sound scenic flight.